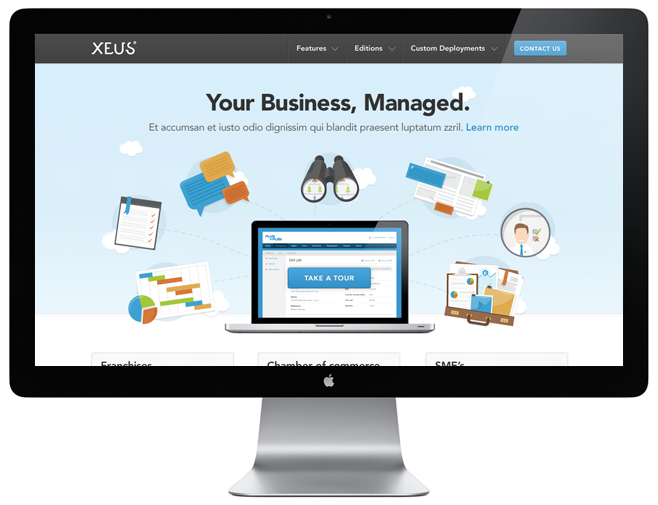 XEUS® is a simple CRM and ERP platform for managing businesses. 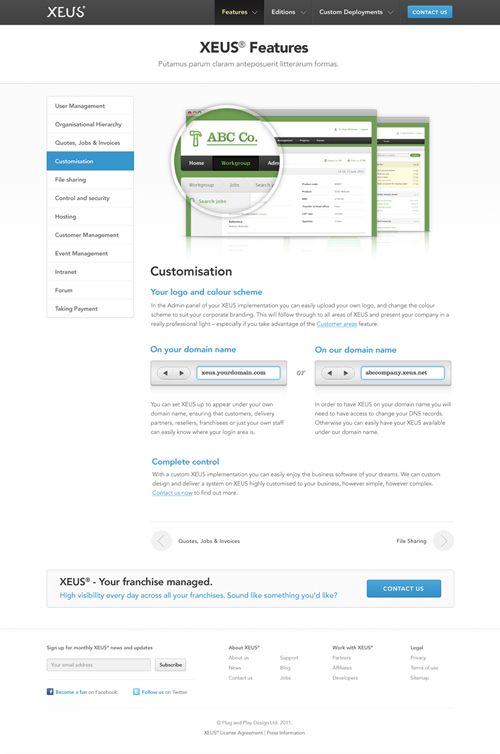 A customisable interface allows business owners to manage everything from the structure of their business to quotes, invoicing and payment, sales pipeline, and a wide range of financial tools. 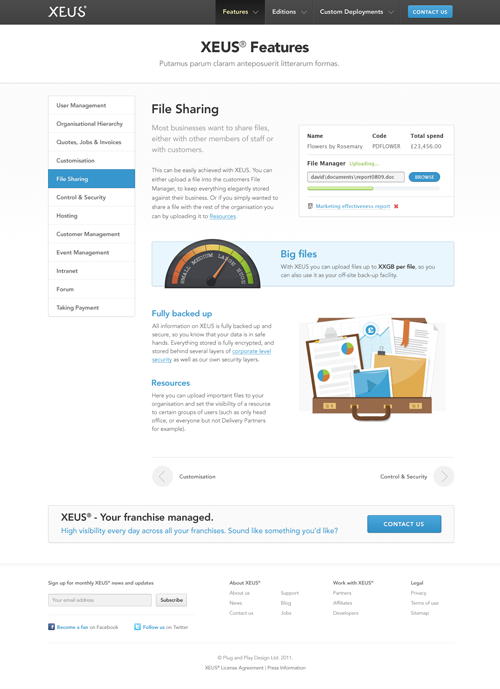 XEUS® is developed by our client Plug and Play and, alongside our friends at Pandr, we created a fresh and simple illustration suite for use across all media that reflects the breadth of functionality in the product. As well integrating the brand and illustration into printed collateral, we refreshed the existing XEUS® account area and generated a series of creative ideas for rolling that out across the marketing website. The XEUS® team are based very close to our Guildford office so it’s great to work alongside another local, creative team. The guys created a great illustrative toolkit and produced a beautiful design that was just what we were looking for.